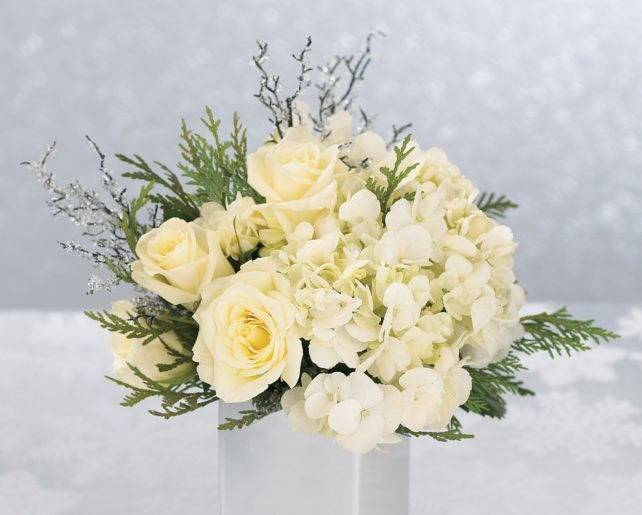 This lovely winter bouquet reflects the bright snowy light of this festive season. An all-white arrangement of beautiful roses and fluffy hydrangea is enhanced with the addition of crystalized branches and delightful holiday greens. Send this classic and elegant arrangement to loved ones today and send your most heartfelt holiday wishes.